The Veterans Day Cookie Decorating Video is now available. 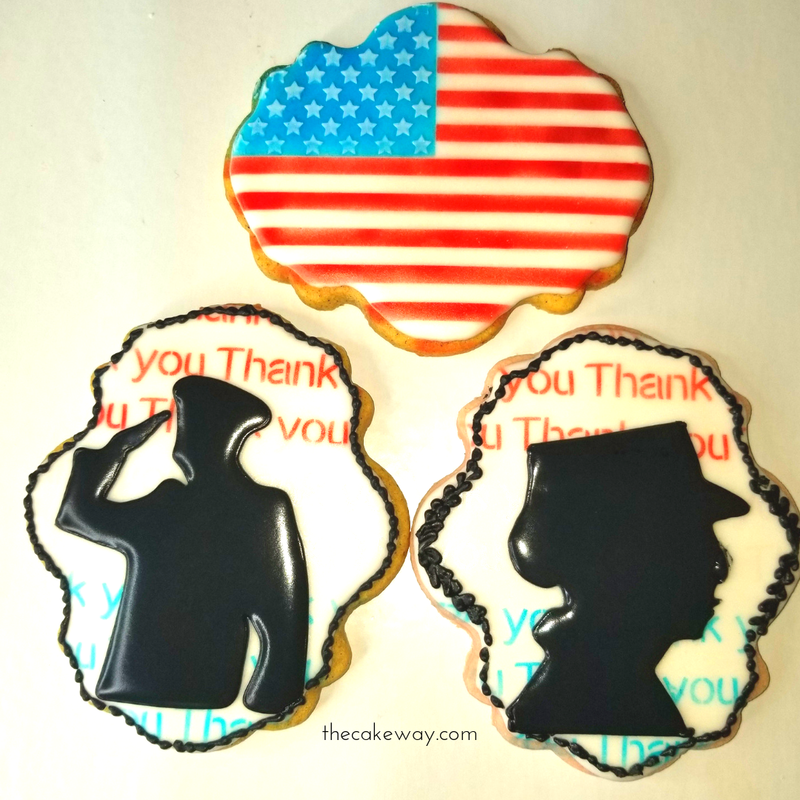 Click to watch the shortened and edited video and learn how to create these cookies that can be made in honor of Veterans Day, Memorial Day, Independence Day, Flag Day, or Captain Retirement Cermony. It’s actually not as hard as you think, these cookies were decorated without a template so you can be as creative as possible. Follow along to make these exactly as I did or get creative and design a set unique to you. There is no right or wrong way with this design, so have fun and post your creations in the comment section of this post. I’d love to see it!